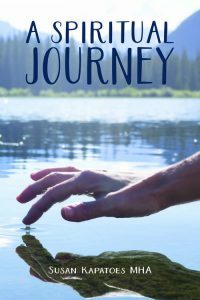 Susan Kapatoes, MHA, CPC, is a nutritionist, holistic health practitioner, certified professional coach, energy worker, meditation instructor, and published author of the self-help inspirational memoir entitled, A Spiritual Journey. Susan believes in a delicate balance between the analytical mind and the intuitive heart, empowering her clients to connect to their inner clarity so they can experience greater joy and happiness in their lives. To support clients on their journey towards self-discovery, Susan employs a wide range of skill sets and adapts her approach according to each individual’s needs. She understands that every person is unique and that healing is a collaborative process. Susan partners with her clients to focus on their agenda, whether it has to do with career, family, relationships, or personal growth and development. Through compassionate listening, Susan tailors each session according to the individual’s goals. Some clients are seeking more guidance, some clients require more structure, and some simply need more encouragement. Susan helps her clients to identify their desires, strengths, and aspirations. Susan provides a calm space for busy professionals and people from all walks of life to pause, slow down, and get in touch with their own inner knowing. Clients become confident and focused with a sense of direction. Susan welcomes clients from across the globe who wish to experience a more harmonious and meaningful life, whether it be on a personal or professional level. Clients come from all backgrounds, including corporate professionals, creative artists, spiritual seekers, entrepreneurs, and anyone who wants to create a life of joy and fulfillment. People of all ages, from teenagers to mature adults, are welcome to contact Susan and begin the road to greater happiness and peace. Susan combines traditional approaches with holistic methods in order to optimize a person’s health and well-being. As an accomplished career woman, Susan previously worked in the healthcare environment for a company called MEDITECH. As an internal auditor and marketing representative, she was responsible for managing an audit team and giving software presentations to healthcare facilities across the globe. She understands the demands and pressures of being a business professional working within the corporate environment. In addition to her corporate experience, Susan has worked as Mental Health Counselor and Nutritionist. As a counselor in the mental health field, Susan has helped emotionally challenged individuals to develop everyday life skills and reintegrate into their local communities. As a nutritionist for the Women, Infants, and Children (WIC) Program, Susan provided nutritional counseling and wellness advice for program participants. Her broad professional career and personal life experiences have allowed her to develop an empathic skill set. Due to this encompassing experience, she can relate to people from many walks of life. Susan holds a Masters of Healthcare Administration (MHA) from Framingham State University and Bachelor of Science in Nutrition from the University of Massachusetts at Amherst. She is a Certified Professional Coach (CPC), having received her certification from the World Coach Institute whose organization is accredited by the International Coach Federation (ICF). 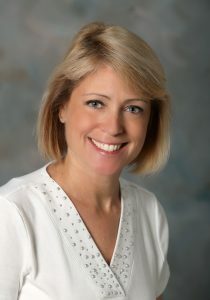 Susan is an active member of the ICF Global Membership Program. In addition to her formal education, Susan has been trained in alternative healing modalities such as Reiki, Craniosacral Therapy, and Polarity Therapy. She is a Reiki Master in the Usui System of Natural Healing and a Certified Meditation Instructor. By combining her traditional background with holistic methods, Susan is able to provide a powerful healing program that is transformational to a person’s entire well-being. Susan has been influenced by many prominent teachers of both the ancient and modern world, including successful business professionals and teachers of the Eastern philosophies such as yoga and meditation. A few of these educators include: Byron Katie, Maya Angelou, Steve Jobs, Paramahansa Yogananda, and Lao Tzu. She holds a deep respect for both people and organizations that elevate the prosperity of humankind. Byron Katie – Taking responsibility for your beliefs and judgments gives you the power to change them. Maya Angelou – There is no greater agony than bearing an untold story inside you. Steve Jobs – Have the courage to follow your heart and intuition. They somehow already know what you truly want to become. P. Yogananda – Possession of material riches, without inner peace, is like dying of thirst while bathing in a lake. Lao Tzu – At the center of your being you have the answer; you know who you are, and you know what you want. Susan loves to travel and has visited over 35 states in North America, including various countries across the globe. When she is not working, Susan enjoys spending quality time with family and friends, taking yoga classes, and cooking a nourishing meal. She is a Wellness Partner with Amare Global, the Mental Wellness Company, whose primary focus is gut health and how it profoundly impacts our physical health and mental well-being. Susan is the owner of Inspire Your Journey LLC, a company that is 100% dedicated to supporting clients on their wellness journey. Inspire Your Journey offers a customized Transformation Program for individuals who are interested in creating change that supports their physical, mental, and emotional well-being. Depending upon the client’s needs, Susan has a variety of services in her spiritual toolbox, including Holistic Health Coaching, Energy Balancing, Emotional Trauma Release, and Meditation.